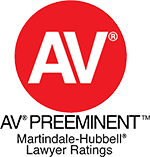 New York City criminal defense attorney Ryan Blanch of The Blanch Law Firm has been awarded the prestigious “AV-Preeminent” rating by Martindale-Hubbell for the 4th year in a row, with a rating score of 5.0/5.0. The designation is “Peer Rated for Highest Level of Professional Excellence” in 2017. Mr. Blanch also holds a “100% Recommended” rating from client reviews. Mr. Blanch has been involved in high-profile cases within the past year, and has won huge cases for prominent clients. Some of his notable wins include recently clearing hip hop star Maino of all assault charges after an investigation by The Blanch Law Firm, as well as representing Saudi Arabian Airlines and having no charges filed against them in a federal criminal antitrust investigation. He has successfully defended all types of clients, from individuals to commercial airlines, facing nearly every type of criminal charge – misdemeanor and felony. 10/10.0 “Superb” by Avvo. The rating takes into account factors relevant to an assessment of a lawyer’s qualifications, including the attorney’s experience, professional achievements, and disciplinary sanctions. “SuperLawyer” by Thomson Reuters. 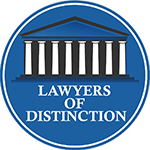 This designation is only given to the top 5% of attorneys in each State. 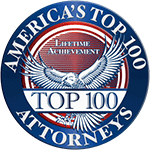 Top 100 Trial Attorneys by the National Trial Lawyers. 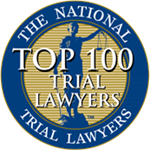 The National Trial Lawyers: Top 100 is an invitation-only organization composed of the premier trial lawyers from each state in the nation who meet stringent qualifications as criminal defense trial lawyers. Top Rated Lawyers in NY. Following the announcement of Ryan G. Blanch’s selection for the list of top attorneys in NY, American Registry seconded the honor and added Ryan G. Blanch to The Registry™ of Business Excellence. If you are in need of top-rated criminal defense, contact Ryan Blanch at 212-736-3900.